Boxes, more boxes, boxes within boxes, and boxes everywhere! 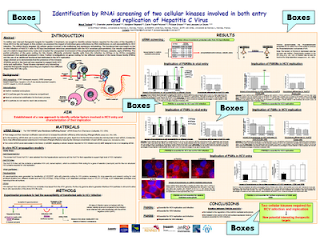 People making research posters seem to be obsessed with boxes. 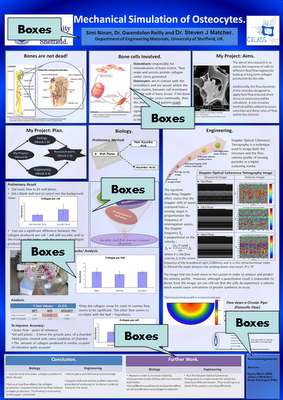 Walk through a poster session and you’ll find poster after poster where each section, sometimes each figure, is set apart by big, thick, heavy boxes. Don’t believe me? Here are just a few examples, picked because they were near the front of ePosters and the Pimp My Poster Flickr group. These are not particularly extreme examples; I just grabbed them to indicate how pervasive the drawing of boxes is. 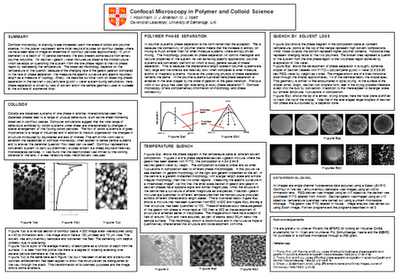 Let’s start with this award-winning poster on ePosters (click to enlarge). The boxes around the graphs are more subtle, because there is not a line around them, but the white against the coloured background still creates a box around the graph. Here’s one from the Pimp My Poster group (click to enlarge). These posters both have other issues besides the relentless boxism, but those are other issues for other times. Imagine how this blog would look if every paragraph was contained in its own little box. It wouldn’t be much fun to read. Many posters would be substantially improved just by taking away the boxes, and using white space to separate everything instead of lines. Start with a simple grid. 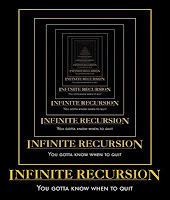 Try three equal columns if flummoxed. Make the margins between the columns wide. Clearly defined margins will help guide people in which way to read. Make your material fit the grid; don’t change the grid to fit the material. You may have to go back and redo graphs to different proportions. Boxes can be used to good effect. Boxes around entire columns, or callouts of highlights, can be attractive. But every single element does not have to be contained in its own box. It's true that boxes can be overused, and absolutely terrible if not aligned properly. However, I'd take the "Confocal microscopy..." paper with its misaligned boxes any day above the typical research paper where the entire thing is a mess of borderless text blobs, where it's difficult even to distinguish between adjacent paragraphs. 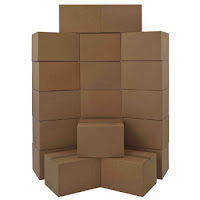 True, nested boxes should be used with caution, and boxes can occasionally create a sense of clutter. However: one thing I've learned is that almost anything looks better with a border.